This week we’d like to recognize a Superior Court Judge out of Los Angeles by the name of Craig Mitchell. Judge Mitchell started a running club for people who were in recovery from addiction and homelessness. The Judge, as many call him, had been running for 15 years, and on a trip to L.A.’s shelter known as The Midnight Mission, he was moved by all the people he met, people trying to better themselves. And, he had this crazy idea to start a running group for people there. It started out with just two or three folks back in 2012, but it has grown to a community of runners that train throughout the Skid Row area in Downtown L.A., an area that is overpopulated with homelessness. The ones who train with the Judge go on to run an international marathon if they stick with the program. It’s been so successful that he has watched lives change through the sport. Many of these runners are now back on their feet working full time jobs. What an amazing and inspiring story, and one that has become a documentary called Skid Row Marathon. 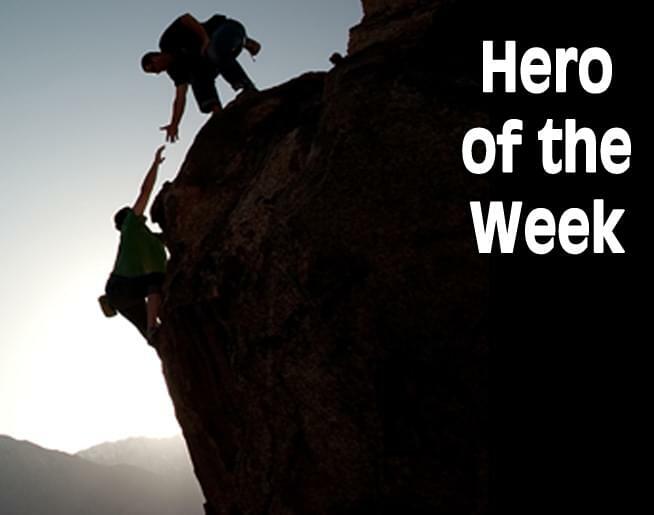 So, this week we honor Judge Craig Mitchell as our Hero!